With the implementation of its  cap-and-trade program, California stands as an international leader in the effort to reduce greenhouse gas (GHG) emissions. An important component of the Golden State’s system is the  Compliance Offset Program, which allows entities covered by the cap to satisfy a portion (up to 8%) of their regulatory obligations by buying and surrendering carbon credits generated by GHG reduction projects applying an Air Resources Board (ARB) Compliance Offset Protocol. These credits can provide businesses subject to California’s emissions cap a cost-effective way to meet their carbon reduction obligations while also driving investment towards activities that reduce GHG emissions. As the global leader in the voluntary carbon market, Verra is uniquely equipped to support market participants within the California system. 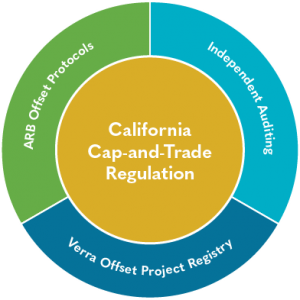 A key component of California’s cap and trade regulation provided for the creation of Offset Project Registries (OPRs, of which Verra is one) which help ARB administer the Compliance Offset Program. 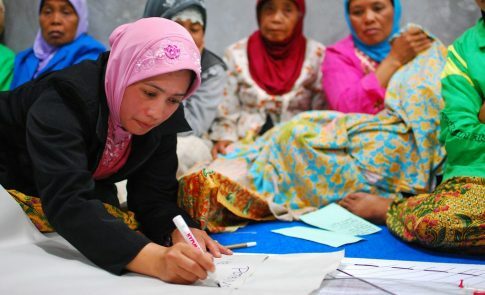 These entities help facilitate the listing and verification of offset projects developed using ARB Offset Protocols, and issue Registry Offset Credits (ROCs) which can ultimately be converted into Air Resources Board Offset Credits, or ARBOCs, and used by entities seeking to meet their compliance obligations. Underlying the entire effort is the California Cap-and-Trade regulation, which also provides for independent auditing of all credits. Projects that feed into the California system must apply an approved  ARB Compliance Offset Protocol and may register with an OPR such as Verra. This is a straightforward process. Contact Verra  today and we can help you get the process started. In addition to new compliance projects, certain existing projects can also feed into the California system. 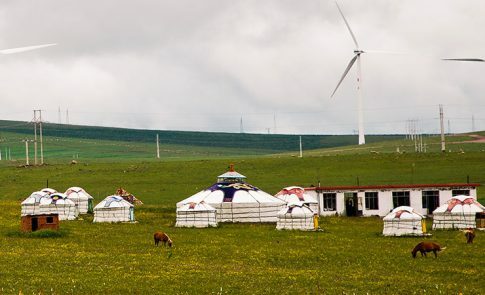 As an ARB-approved Early Action Offset Program, Verified Carbon Units (VCUs) issued to VCS projects that relied on methodologies that have been incorporated into ARB Compliance Offset Protocols can be converted into ARBOCs. This is the case for several mine methane projects using VCS methodologies (VMR0001 and VMR0002) which make up key parts of the  ARB Mine Methane Protocol. The conversion process is rather straightforward, and requires the cancellation of qualifying VCUs in order to convert them into ARBOCs. The Verra OPR is open and ready to help you navigate the California carbon market. You can open your account and start registering projects today. If you have questions about how the OPR operates, or even how the entire California system works, you can always  contact us  with your questions.